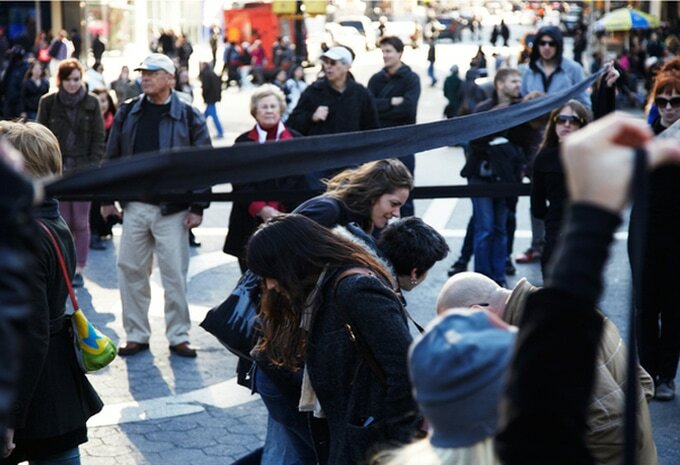 For their first action in the U.S., Public Movement presents Positions, a choreographed demonstration that invites people to take a stand on any number of urgent issues. 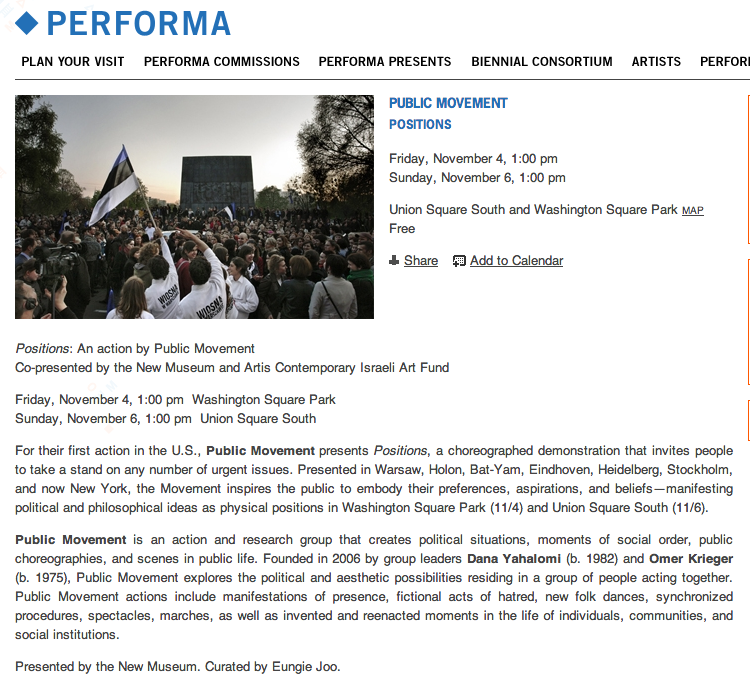 Presented in Warsaw, Holon, Bat-Yam, Eindhoven, Heidelberg, Stockholm, and now New York, the Movement inspires the public to embody their preferences, aspirations, and beliefs—manifesting political and philosophical ideas as physical positions in Washington Square Park (11/4) and Union Square South (11/6). Presented by the New Museum. Curated by Eungie Joo.